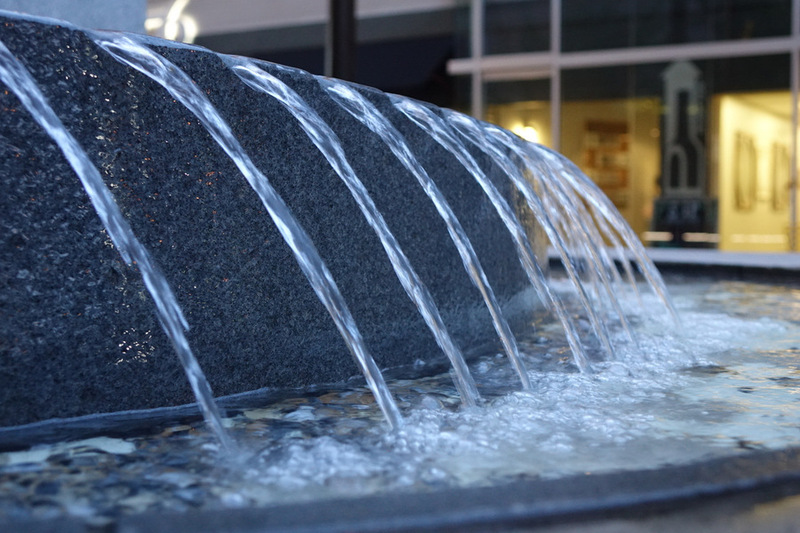 A water feature in One City Plaza. 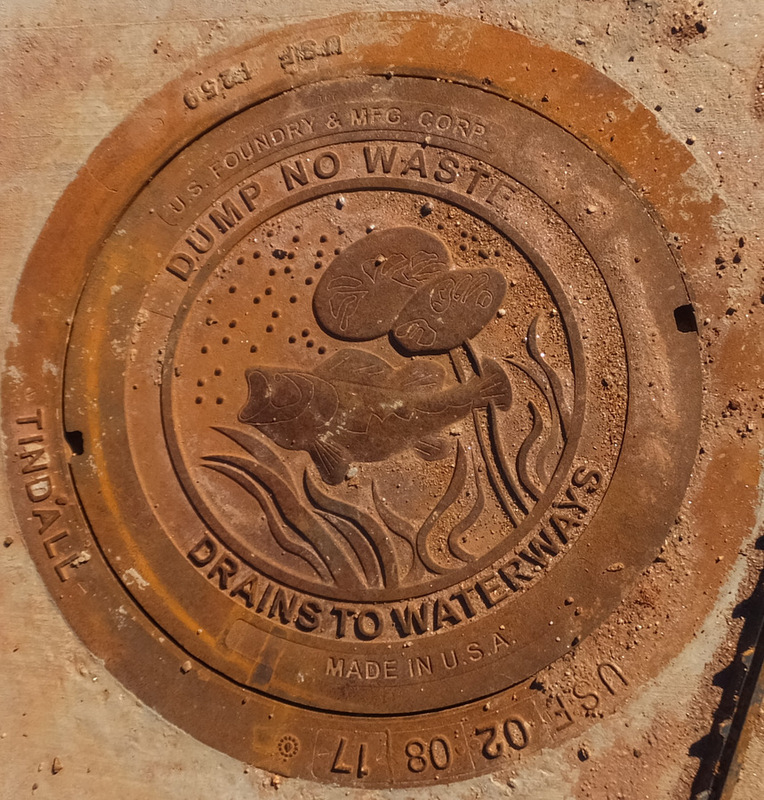 This info-graphic molded into this drain cover is a reminder of the wildlife that depends on clean water (along with the people using the water downstream). 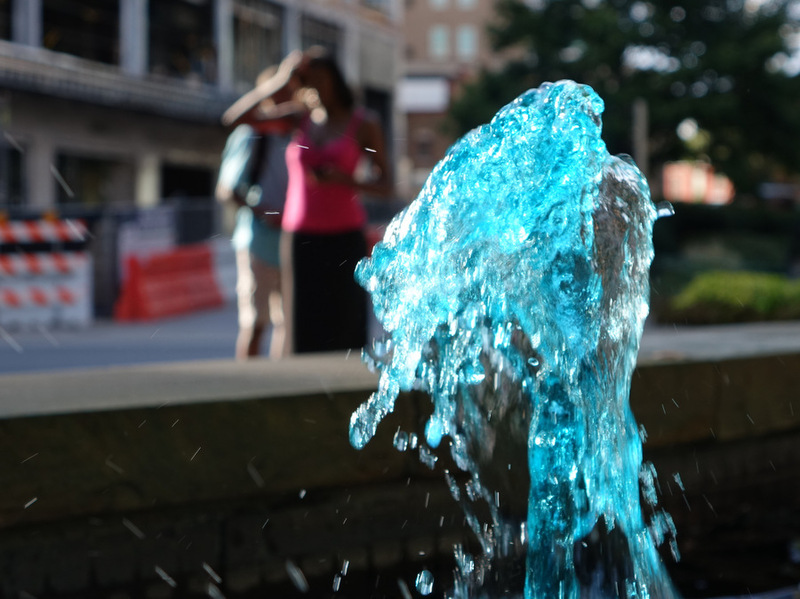 The water wall behind the Peace Center Amphitheater. 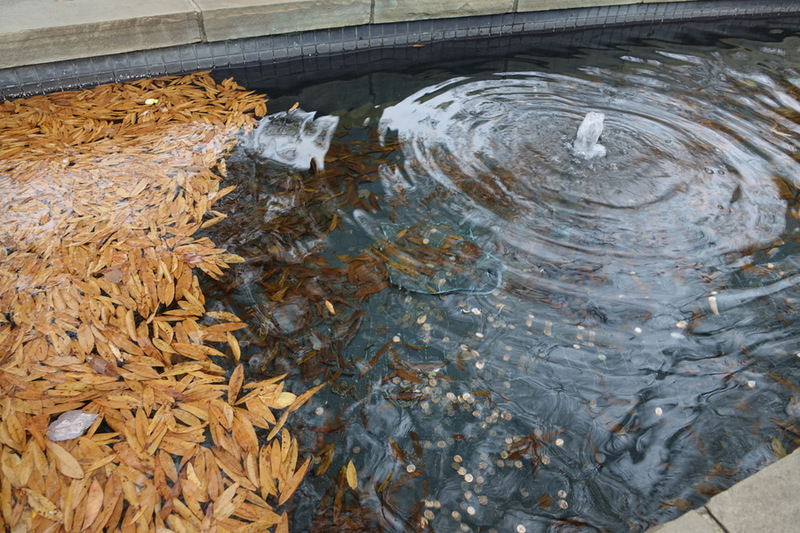 The leaves gather together in a fountain in Tate Plaza above Falls Park. 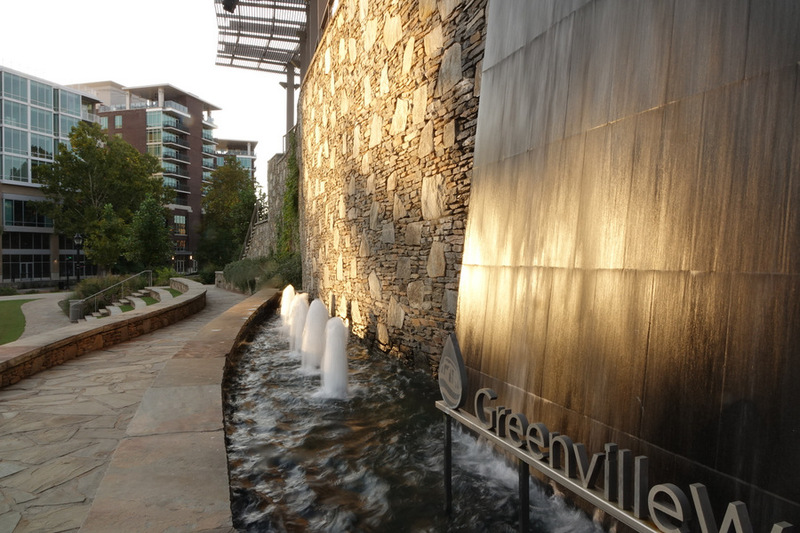 This pool is along the Sanctuary trail in Falls Park as the stream makes its way down to the Reedy River. 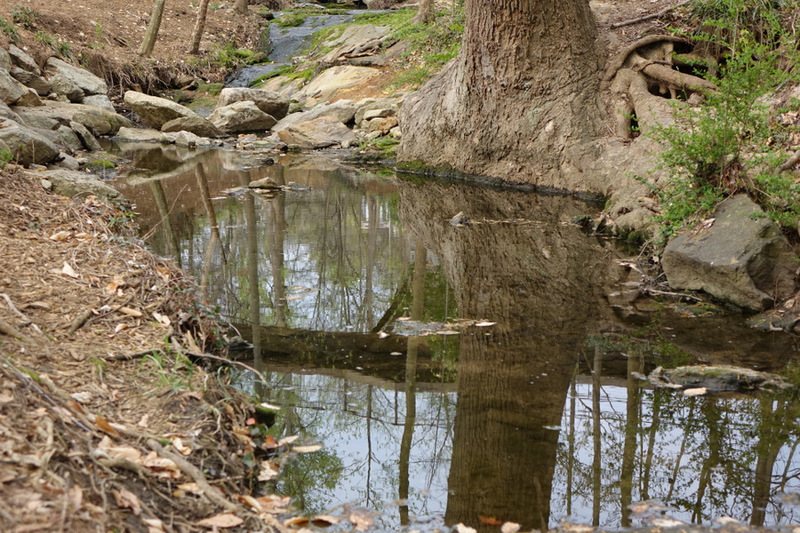 This storm water retention pond along the Swamp Rabbit Trail was exercised well this week during the heavy rains. The educational trail board gives some background information and shows some of the wildlife that benefit from the wetland. 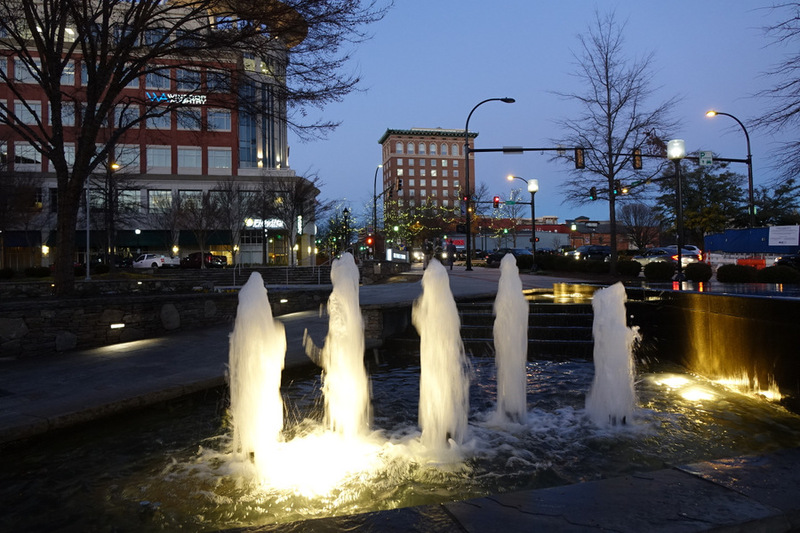 The Reedy River rose to a full flow under 8-11 inches of rain and made thundering falls. It was enough to bring the Weather Channel to do some live shots at the falls. The worst of the floods did not arrive, but there were some power outages from falling trees and localized flooding.